Targeted email marketing is an extremely effective way to reach your customers and drive sales. According to a recent report by consulting firm McKinsey, email marketing is nearly 40 times more effective for acquiring customers than Twitter and Facebook combined. But it’s an art. You need to make sure that what you’re sending is relevant and engaging (and also that you don’t seem intrusive). Square’s Customer Engagement tool gives you a solid leg up here. Because it automatically creates lists of your loyal, casual, and lapsed customers, you can make sure you’re always targeting the people who will be most interested in what you’re sending. One group may be more appropriate for an event invitation, for example, while another may be better suited to receive a huge sale announcement. Think of all the email you get in your personal account — and how quickly it adds up. You want to show your customers’ inboxes the same respect you expect other businesses to show yours. But what’s the right cadence? Definitely not more than once a week (even that can be a lot). A general rule of thumb is to only send an email when the content is truly engaging and worth the read. If you send an email that’s not engaging for customers, you’ll get a slew of unsubscribes. Click Here for a Prize! WIN A FREE CRUISE! These are the types of subject lines that are likely to get caught in spam filters. So before beginning your email marketing efforts, it’s a good idea to familiarize yourself with the FTC’s spam laws. Beyond the law, some common spam triggers include all-caps subject lines, a low text-to-image ratio, or exposing HTML in the body of the email. With each email you send, think about the action you want your customers to take when they open it. Is it to shop a sale? RSVP to an event? Include one actionable link (this is commonly referred to as the call to action, or CTA) as the centerpiece of your email. Some examples include “Shop the sale,” or “RSVP here.” Square Customer Engagement has beautiful, ready-to-go templates for promotions, announcements, or event invitations that make it easy to plug in your CTA. 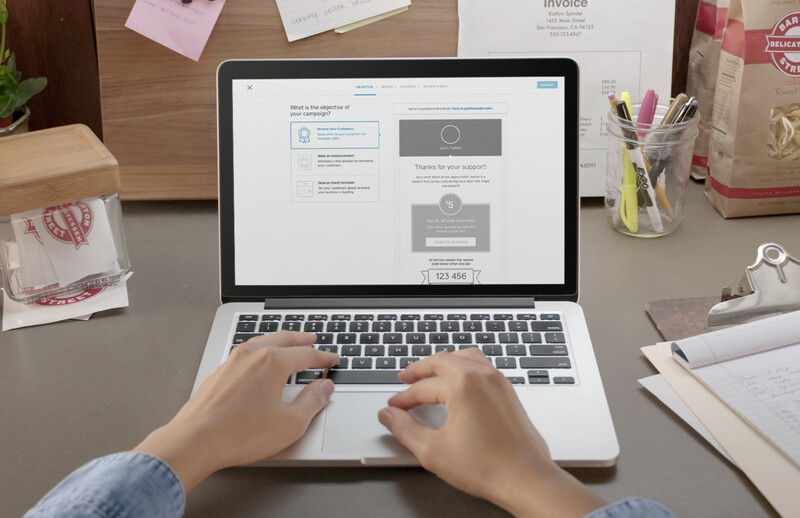 If you’ve already sent some email, the Marketing tab of Square’s Customer Engagement tool has a wealth of information about how it performed. You can see things like your open rate (how many people opened what you sent), your click-through rate (how many people clicked on your CTA), and even how many people came in and bought stuff as a result of what you sent. The day of the week and the time of day you send your email can have a big impact on these numbers, so it’s worth pouring over your data to spot trends. But if you’re sending your first marketing email, common sense will get you most of the way there. Think about when you’re most likely to open and read your own email. Typically, most people go through email in the morning, around 7 to 9 a.m. (heed the time zone). Generally, weekdays are also better — specifically Tuesday, Wednesday, or Thursday. But there’s usually also an open-rate spike on Sunday evenings, when people are chilling out on the couch with their phone (Square’s email templates are optimized for mobile). Make sure you time your email so it’ll get noticed. Subject lines are crucial. They’re often the reason whether someone opens your email or deletes it. This topic is an expansive one (we’ll get into it more in a later post), but basically, your subject line should entice people to open the email to learn more. This can be accomplished in a number of creative ways, but generally speaking, simple, direct, and actionable is the way to go. There’s a ton to know here, but hopefully this gives you a primer on email marketing best practices. If you’re looking for a high-level overview of email marketing, check out our Introduction to Email Marketing post.